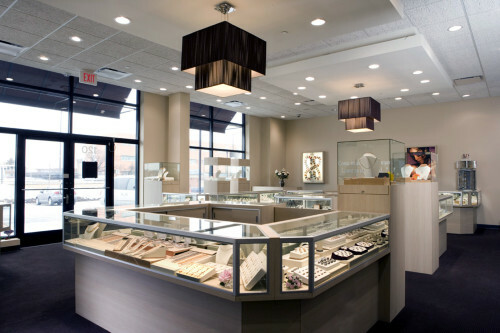 This jewelry store was designed to enhance the experience of shopping and highlight the many different types of jewelry on display. The circulation pattern allows easy flow throughout the space. The different heights and lighting levels in the display boxes allows better product viewing. 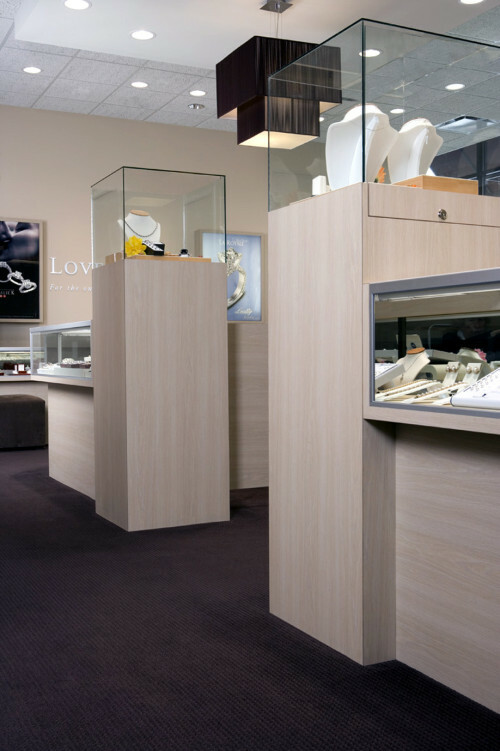 The separation of areas and special seating allows customers to stop and comfortably relax during presentations of the jewelry. 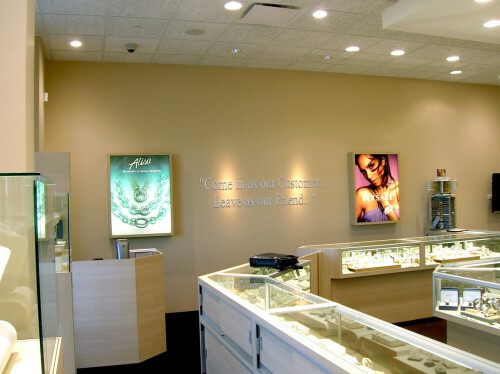 We also incorporated a special viewing area where customers could see their jewelry being sized/modified and custom jewelry being created.